1. Who is your website target audience? Many website owners create a site without having a clear idea of their target audience. They may think it is one group, only to find that they are attracting a different set altogether. One thing may apply, though: even if the Internet reaches the world, the world is not your audience, but only its specific section. The website of a landscaping business in Phoenix, Arizona may target only Phoenix and neighboring suburbs. An upscale website selling handcrafted objects from different countries may target interior designers and decorators, upper income families looking for unique pieces for their homes, and people looking for one-of-a-kind gifts. A small business information site may target those looking to start their own small businesses or those who have already started their businesses, but not those looking for jobs and work opportunities from their homes. Your target audience will dictate your content, even your marketing approaches. A daycare business in Virginia may target families and parents in Washington DC metro area looking for daycare services for their children, but should not buy search engine keywords for “starting a daycare business” – which is an entirely different set of customers from their target audience. 2. What typically appeals to your target audience? What are the expectations of your typical customer from a website such as yours? Are you providing those information and features? For example, a parent looking for a daycare service for their children on the Web will want information on the location of the daycare, preferably a map and clear directions from major thoroughfares. They will also want to know the rates, and whether part-time and/or full-time is allowed. They also want a typical schedule of activities for different age groups, the ratio of adults to children, and a host of other things. Your website must meet at the very least the minimum expectations of your customers. 3. How are the other websites (your competition) reaching out to this target audience? The first step is to make a list of the number of players offering the same type of information, products or services out there. If you are planning a website design company, note that Google alone has 11 million results for this term – which implies that you will be faced with a huge number of competitors, many of whom have been established in the field for years. Make a list of the top websites in your field, as well as sites that are in the same league as yours in terms of resources and traffic levels (many of the top sites are already 20-pound gorillas that may be difficult for you to catch up). Study the different information and features on their website. Gauge the technology used to serve the content (e.g. multimedia, flash, etc.). Understand what makes people flock to these websites and what makes these websites successful. 4. How will you measure your performance? Right at the start – before even launching the website – you need to define your measures of success. 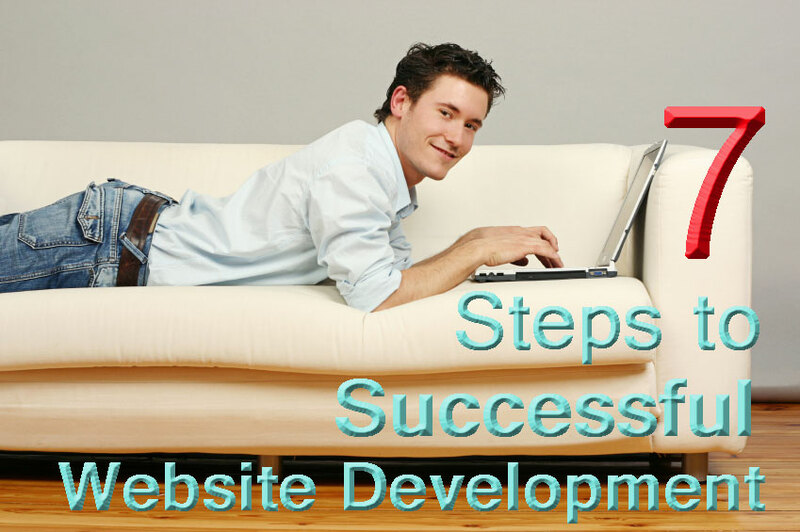 What will make you say that your website is a success (or failure)? Many web owners make the mistake of launching a site without even knowing and understanding the tools they need to ascertain whether their efforts are a success or a bust. They start a website, yet unsure of what to really expect. You need to have quantifiable and qualitative measures of success to gauge the performance of your website. These metrics will help you assess your current performance and help you assess succeeding improvements. The various metrics will provide you with a complete picture of your site’s performance, and can provide you with the confidence to make future decisions. Traffic metrics. How many people are visiting your site? Where are they coming from? What sites are linking and bringing traffic to your website? What keywords do visitors use in the search engines to find your site? How long are they staying in your site? You need to start understanding the various terms to measure traffic – pageviews, unique visitors, and hits (considered passé and irrelevant). Transaction metrics. If you have an e-commerce site, you need to know how much you are selling, so you can compare it with your sales goals. What is your daily/weekly/sales volume? If your website is a means to get people to your physical store, do you know how many customers are actually going to your store because they chanced upon your website? What is your target conversion rate and return on investment (ROI)? Customer satisfaction. While it may be hard to quantify customer satisfaction, you need to have some measure to know what your customers actually feel about your website. 5. Have you developed your benchmarks? Benchmarks allow you to get an idea of how everybody else is doing relative to your own performance. By knowing how others are doing, you get a better sense and confidence in the metrics that you see in your own site, and you get a clearer picture of your performance. Benchmarking entails looking at the data and metrics of your competitors, other retailers, and other leading sites in your industry. While you may not have the resources to research and get the data, a simple technique will do: make a list of the top sites (based on buzz, top-of-mind awareness, ranking in the search engines) in your category and write down what they do best; then make a list of the sites at the bottom of the heap and see what are they doing wrong. Given the audience you have identified for your site, the next step is to determine what you will do for this audience. Will you give them information? Will you offer them unique products? Will you offer them low prices? How will your site be a valuable resource or tool for them? 7. How will your website stand above the competition? Chances are, there are already hundreds, if not millions, of other websites offering the same information, product or services. And chances are, they are so far ahead of your site: they dominate the search engines; they have built on customer awareness and have developed brands. People know them!